The police said they will arrest those who are guilty of orchestrating violent protests if any such evidence emerges. On Thursday morning, several roads in Hammanskraal on the outskirts of Pretoria were blocked with burning tyres, rocks and rubble. Plumes of smoke were clearly visible. Police used rubber bullets to disperse small crowds of protesters who tried to block the N1 highway towards Polokwane. Speaking to journalists in Hammanskraal, Captain Kay Makhubela said that there are several protests that have flared up around Gauteng, including Vereeniging, Soshanguve, Bekkersdal, Pretoria West and Hammanskraal. Public violence cases have been opened and the police are investigating each of these incidents. "If it’s found that there are people involved in terms of influencing other people, those people will be arrested," Makhubela said. 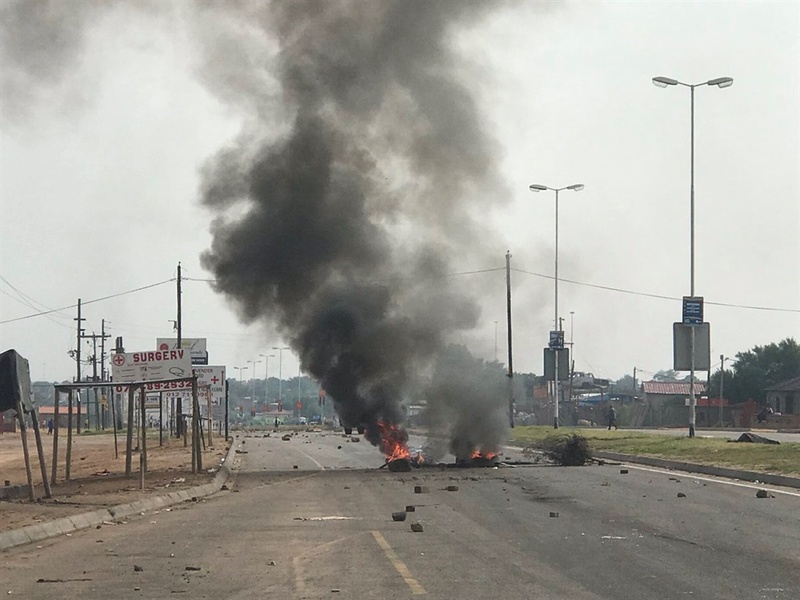 In Hammanskraal, residents had varied reasons for protesting, ranging from unhappiness with roads filled with potholes to housing and electricity. Protesters also differed as to who was to blame for the lack of service delivery. Some put the blame at the feet of the DA and others believed the ANC should be held accountable. The ANC election campaign programme planned for Hammanskraal on Thursday had to be postponed after protests flared up in the area.